Width: The width and height automatically adjusts to fit all content. Height: The height automatically adjusts to fit all content. Lines are wrapped to fit within the width. Fixed: The width and height stay put. Lines are wrapped, but overflowing lines are currently not clipped. Note that manually resizing a text object set to the Width or Height auto resize mode will switch it to Fixed. Double-click on a text object to enter text edit mode. Once there, you can select a subset of the text either using your cursor (click and drag) or the keyboard (e.g. SHIFT + RIGHT ARROW) and change properties for just that subset. You can adjust the font, size, kerning, line height, as well as some Auto Resize options in the Advanced Type window. For text decorations, either use the Text menu or the Command + U shortcut for underlining. The percentage line height is a percentage of the default line height specified by the font designer. For many fonts, the default line height is 120% of the font size, but this can vary quite a bit (e.g. for Zapfino it is 340%). The actual line height is calculated using the formula font size × line height × default line height. For example, if the font size is 10px, the line height is 100%, and the default line height is 120%, the actual line height will be 12px (10 × 1.0 × 1.2). If we increase the line height to 120%, it will be 14.4px (10 × 1.2 × 1.2). If you want explicit control over the line height without considering the default line height multiplier, you can enter pixel values. For example, if you explicitly want a 13px line height, simply enter 13px into the line height field. Yes, your beloved pictorial minions work in Figma! We currently use Apple emojis on all platforms. 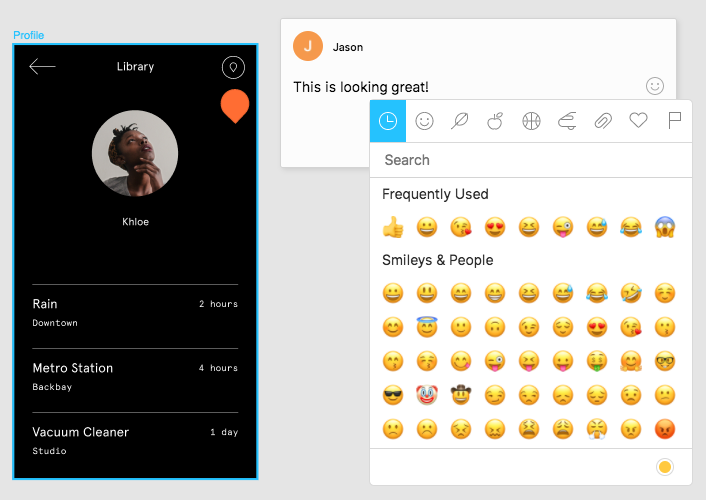 Emoji is supported in both text objects, as well as Comments. When you select a single emoji from the picker, the picker will close. If you need to select more than one emoji, open the picker, then click and drag the picker window from it's original location. 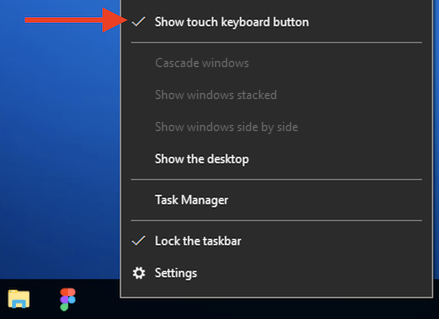 Note: The touch keyboard is not available on Windows 7.